If you are looking for a place that will tell you precisely how to jog the conversion rates then you’re in luck. You’ve come to the right place. 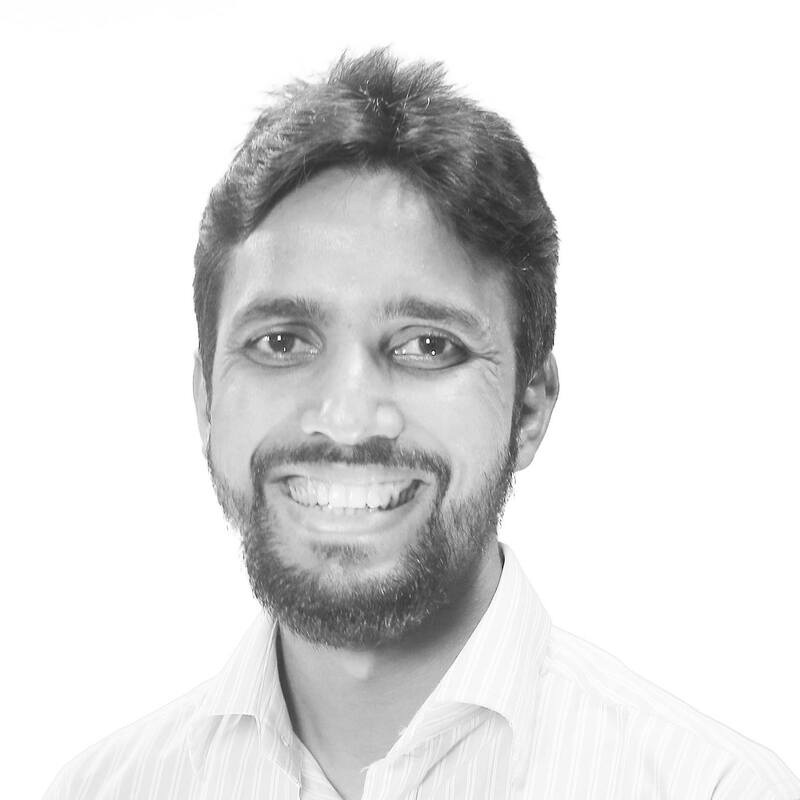 I’m here to tell you what the deal exactly is with images and videos on the landing page and how it influences the landing page conversion. 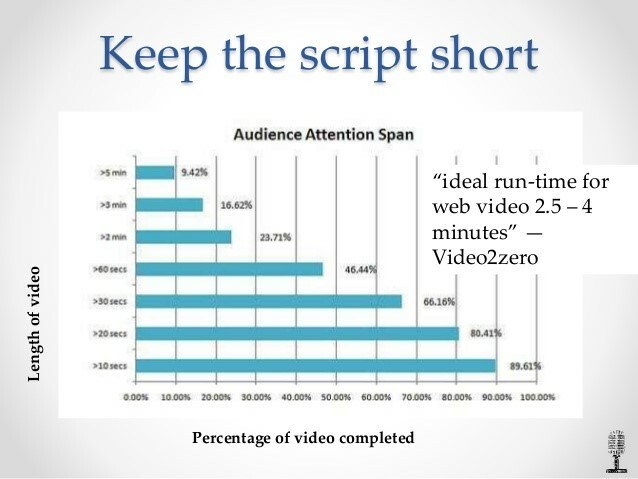 The attention span of an average human has decreased from 12 to 8.25 seconds according to the Statistic Brain Research Institute rendering the effort of capturing an audience’s attention much more challenging for internet marketers. If the scientists have said that people are harder to keep busy, have they not then figured out how to keep them busy? Yes of course they have. Experts say that a presentation with visuals results in better-retained memory and comprehension by 323%. So there’s a greater chance that your visitors are going to remember your words of advice or tagline if it is accompanied by a relevant image. I think this is good enough to get going with. Let’s start with images first. The best thing about images is that you can say multiple things at the same time and they work like magnets on your landing page and helps to increase landing page conversion. Unlike when you’re writing a sentence, you’re not tied down with the burden of having to say one thing per sentence. This is one powerful image accompanied by just a line: One click could change your future. Belt up. The image in itself speaks volumes. 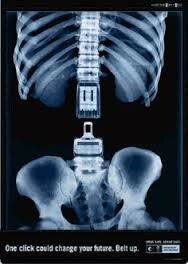 An accident in which you are not wearing a belt can cost you your spine. See the number of words I took to explain that even though I’ve tried to keep it to a minimum? Words can get cumbersome and often it’s best left out. Often powerful landing pages have just that: a good professional picture that will do the work of a hundred clumsily typed out words. Here are a few of the most widely used and high yielding forms of images used. Infographics gather, organize and portray all the information necessary on through image that makes the monotonous task of browsing through heavy data fun. Info-graphics have worked really well to increase landing page conversion over the years. This is a good way to attract your visitors, because although on the rise, everyone out there isn’t using them yet. Well, you might be thinking that they might be hard created, but here’s a little secret that I’ll let you in on: it’s super easy. You can go two ways with this. You can either hire your own designer and you can allow him or her to craft at their own leisure or you ride down an easier passage. This is a cheaper but perhaps a less satisfactory way of creating infographics. Use the free websites available such as Dribble and Fiverr to get your custom-made design. Next up are these ready-made photographs that have been taken and published online for the use of people in general. These are taken over a period of time and people can search them out and use according to their need. These are usually royalty-free images and don’t hunker you down with copyright issues so they are convenient in that way. However, there are certain things that you have to look out for. As you can see for yourself the quality of the picture is quite terrible. Now you wouldn’t want that on your page would you? Even amateur photographers today are equipped with better cameras and skills that you could look to hire. And in the second picture, you’ll notice there’s a watermark logo centered on the image. This will notify people that it’s not an original, and although there’s nothing lawfully wrong with that, your visitors might think you’re a shirker even before they read anything on your page.Attractive images plays a vital role in increasing landing page conversion rate. These are my personal favorites and I know these can do you a world of good since it makes the visitors who have just arrived on your landing page feel that you’ve taken out your time and given an effort since the images are hand-drawn. Look the picture below for instance. Such pictures even keep people hooked for a while because they tend to be mesmerized by the attention to detail that artists give. It also gives your landing page a more personal look, it makes it feel more welcoming. Of the many hands drawn WebPages out there, these are some of my favorites that you might want to check out: Sketchnotes, Legwork Studio, and Steedicons. Due it its personalized and creative appeal, hand drawn images puts an extra boost on your landing page conversion . These are the best way to show that you’ve done your research and therefore what you’re saying is reliable. If you have the necessary information but are struggling to put it all into an effective graph try out DIY Chart for assistance. Audience now a days are skeptic to believe and they need valid data for that. Graphs and charts plays a good role in increasing your landing page conversion as it showcases proven data to the visitors. Now that we’re done revising how to optimize your use of images in order to increase your conversion rates, we can move on to how videos can help us with the same thing. Videos are also an extremely useful substitute for text and they help retain visitors for longer. In fact, videos can increase your landing page conversion rate by up to 80% according to a research conducted by Eyeview. While 60% visitors prefer watching a short clip than reading a text, there’s got to be certain pointers that you have to keep in mind when making and using the video. These motion pictures are best to retain and increase the trust of viewers and consequently get a higher conversion rate. That’s what you’re aiming for right? Although you can’t see it in this picture [duh! ], go over to their website and check out how Animoto uses a video on loop to attract the visitors. The best part about the video was that Animoto advertised its skills subtly. It didn’t have an employee perched upon a stool and talk about how they are the best in the industry, rather they put together a video that says that they can do so. The video was created to replace the text on the landing page. Since it was done to replace any text, it quite naturally had to do some talking. The dude in the video explains why one should opt for their service and uses subtle indications to show how reliable their product is. Notice the little girl with the razor in her hand shaving her daddy’s head? Yup, it’s that reliable apparently. While there’s no music throughout the video, the sound quality is excellent: loud and clear. They’ve added music at the end that lasts for 16 seconds with emphasis on their logo and tagline. They even danced – pretty rad. Now I know that it’s a video and there’s movement, but it wasn’t your typical guy sitting in one place and being very animated with his hands flying everywhere. There was a lot of space utilization as the man walked around what was perhaps their warehouse; also an indirect way of showing off their commercial space as well – smart! This is where even landing pages with videos could lose visitors. While videos are entertaining no wants to spend ages watching an introduction and Dollar Shave Club nailed it with a video that was a minute and a half give or take. What timing. Here’s another thing: you don’t always have to be sarcastic or witty. What your approach is going to depend solely on your business type. Timing is essential because stats show that number of viewers that stop watching a video after the first thirty seconds is drastic. Here’s a bar chart that shows how videos on Wistia performed. Here’s another chart that shows information that’s not exclusive to Wistia, rather a survey of what percentage of video is completed over a given length of time. Also, it’s best not to use pop-ups because they negatively affect your conversion rate. Another thing that you’d want to keep in mind when embedding a video on your landing page is that it doesn’t require the latest plug-in or software like Java or Flash Player. This usually discourages visitors from wanting to watch it anymore and it can be especially exasperating if the user’s on a tablet or phone. Imagine sitting under a tree on a hill, steeped in tranquility and suddenly there’s a hovercraft jarringly jolting you back to reality. That’s what pop-up videos that start on their own can seem like, so try to steer clear of them. 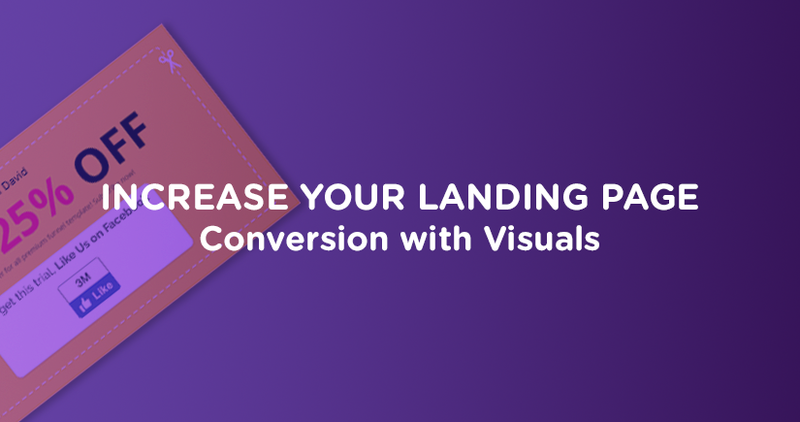 This drastically impacts your landing page conversion. Landing pages aren’t always about the words that you write, they can be painted or recited as well. Make sure you make the best of technology by incorporating images and videos into you page and then wait for the magic to happen. It can surely increase your landing page conversion rate. And when it happens, leave a comment behind.